Founded in 1790, D R Harris is a London-based men’s grooming brand that offers a range of items that have been tried and tested for the better part of two centuries. A favourite of Oscar Wilde, we’re sure it will be one of yours, too. There are very few companies that reside on an equal plateau to D.R. 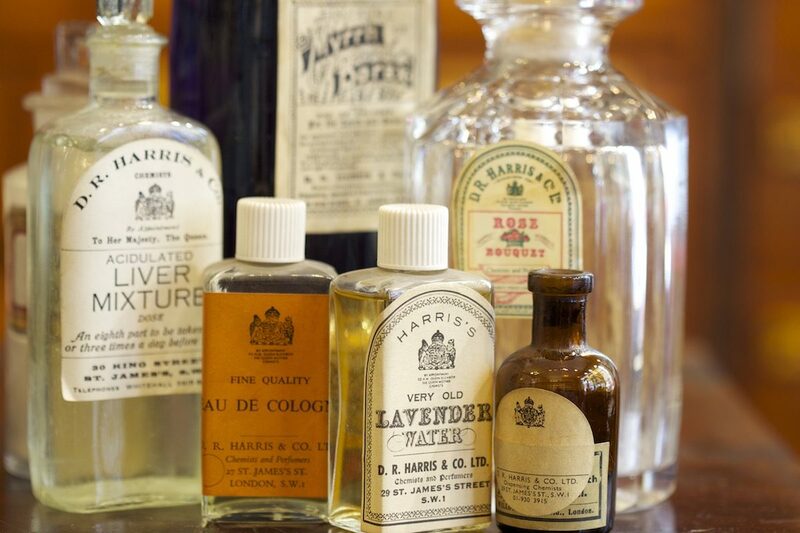 Harris, the London-based chemist and perfumer that was founded in 1790. With such an impressive age naturally comes an impressive history. In addition to being bestowed several Royal Warrants over the years, the most recent one came in 2012 from HM The Queen, it’s officially the UK’s oldest chemist. It was founded by two brothers, Henry Harris, who plied his trade as a surgeon, and Daniel Harris, who was a pharmacist. Throughout the halcyon days of gentleman’s clubs in St. James’s, which came to be known as Clubland, D.R. Harris was a go-to place of refuge for a quick fix, with inebriated, well-dressed men stopping by for the infamous ‘Pick-Me-Up Hangover Cure’ elixir that was, legend has it, a favourite of Oscar Wilde. Sadly, it no longer exists, but there are still many, many items than can be found on its aged shelves that can make a man feel tip top. D.R. 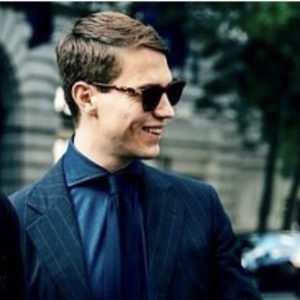 Harris is still located in St. James’s, one of London’s most prestigious areas, and as such is in good company with like minded stores and haberdasheries, such as Lock & Co., Turnbull & Asser and Edward Green, that together cater to the modern man’s needs. The store feels ever so slightly nostalgic, with ancient oak cabinets from centuries ago still in action, as such you really get the sense of its history, and this is also conveyed via the packaging and branding of its products that’s distinctly British. Upon receiving them, you can tell that they've been tried and tested for many, many years. Despite this archaic approach, D.R. Harris is very much with the times. For instance, they don’t test products with animals and they have a conscious approach to using sustainably sourced animal-derived products where it’s necessary. Furthermore, all of the glass bottles and wooden shaving bowls are refillable, which is perfect, as they keep you coming back for more. Testament to that is that there are customers who’ve been using D.R. Harris for over 50 years. The products themselves have been meticulously made and for a company as old as D.R. Harris, many of its best sellers are almost as old as the company itself. From that, we've curated a selection of items that are true to the old school. One example is the Sandalwood Shaving Soap which incurs a phenomenal lather thanks to it going through a triple milling process, which essentially means it tossed and turned to make a fine soap with the ingredients thoroughly mixed through. It comes in a mahogany bowl which is a nice, small decorative touch to your basin. Post-shave, we suggest going for the Arlington Aftershave Milk, which, as the name suggests has a milk antiseptic which nourishes and soothes the skin from those nicks and bumps caused from a razor blade. The shaving sets are a great addition to your armoury and the chrome razors take your standard Gillette Mach 3. If owning facial hair is your true calling, D.R. Harris’ range caters to that too, with its Windsor beard oil being world renowned due to a clever mix of Abyssinian oil, jojoba oil and vitamin E which nourish the hair follicles. The beard brush is particularly cool, too as it uses boar bristles and beechwood sourced from the Black Forest. Elsewhere, other products that should be added to your routine include the Head To Toe Windsor body wash that’s great for travelling and will keep you smelling fresh thanks to citrus, black pepper and vetiver notes. Once that's all out the way, banish the Colgate and say goodbye to their and get yourself some toothpaste that looks cool and grownup (and of course will leave your teeth feeling minty fresh). Explore the range of D.R. Harris items, here.